layer of meta-commentary to the Internet by linking web pages to rebuttals. I wanted to use this new tool against Burzynski’s propaganda machine. working.9 Amelia died a few weeks later. that the Clinic has been operating for over thirty-five years, the magnitude of what that place might ultimately represent becomes clear. This screenshot from the Burzynski Patient Group’s Facebook page shows one of the doctors at the clinic posting a patients lab results, a clear violation of HIPAA. previously been approved by the IRB. to subjects, and to the importance of the knowledge that might be expected to result. authorities who might have an interest in seeing such information. effectively hobbling the launch of that misguided venture. The replacement site, iwantanp.org, is now trademarked. skeptics to visit thehoustoncancerquack.com to find out how to lobby their representatives most effectively. whose behalf we are working. 2. Hill, Sharon. 2012. “Vicious Web Site At­tacks Prominent Skeptic James Randi and Others.” Doubtfulnews.com (June12). Available at http://bit.ly/14ECsVn. 4. These search engine optimization strategies, skeptics’ most powerful tool of combating misinformation, may be found at http://bit.ly/18NXNxJ. 5. Myers, P.Z. 2013. 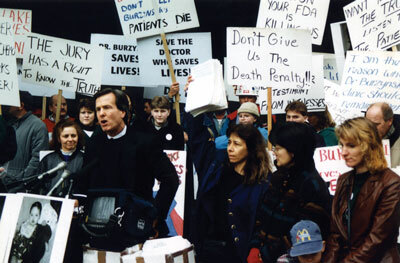 “Let’s Make Houston Cancer Quack Burzynski Pay!” Pharyngula (Jan­uary 6). Available at http://bit.ly/UZ0XYc. 6. Thompson, Brian. 2013. “The Burzynski Clinic.” Consequence: True Stories About False Things (January 14). Available at http://bit.ly/VFVbLo. 7. “The Burzynski Clinic and Cancer Quacks.” 2013. The Randi Show. (January 11). Avail­able at http://bit.ly/19R9Mvd. 8. Among the most revealing patient stories at theotherburzynskipatientgroup.wordpress.com are those of Amelia S. (http://bit.ly/1aVX1LI), Denise D.
(http://bit.ly/12quzSf), and Chase S. (http://bit.ly/16SgNv2). 9. Orac. 2012. “More Sad News About a Burzynski Patient.” Respectful Insolence (December 12). Available at http://bit.ly/ZgXsyI. 10. “Cancer Patients Threatened.” 2012. 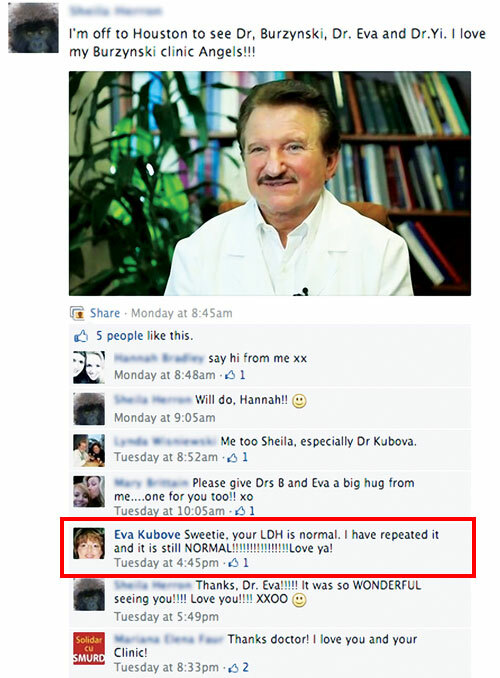 The Other Burzynski Patient Group (June 3). Available at http://bit.ly/14aTc0Y. 11. “Advice for Burzynski Patients.” n.d. The Other Burzynski Patient Group. Available at http://bit.ly/18NIGnS. 12. “FDA Inspection (FOIA Requests, Feb 2013).” n.d. The Other Burzynski Patient Group. Available at http://bit.ly/16yFNDc. 13. “Cancer: Hope for Sale?” 2013. Panorama (June 3). Available at http://bit.ly/11ruWKJ. 14. “Amelia’s Family ‘Misled by Cancer Cli­nic.’”2013. Reading Post (June 5). Available at http://bit.ly/1bdQTkV. 16. This filing is publicly available at the SEC website at http://1.usa.gov/1aB1oeT. More from this issue of Skeptical Inquirer: “Stanislaw Burzynski: Four Decades of an Unproven Cancer Cure” by David H. Gorski.